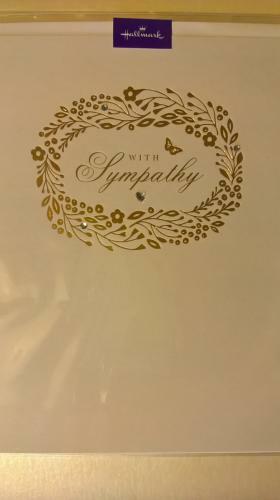 Very elegant sympathy card with gold foil detail and decorated with small gems. The message inside reads "So much the heart would like to say.... so hard to find the words. Thinking of you".